When it comes to window treatments, the curtain rod doesn’t have to be just the necessary hardware. The rod can have just as much style factor as the curtains themselves. 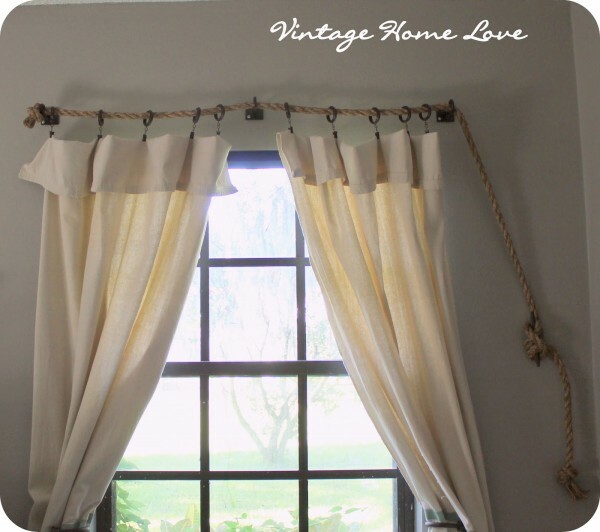 The following DIY curtain rods use a variety of materials that help to enhance and complement the style of the room. In the process of making over my son’s bedroom, I decided that I wanted to do something unique and inexpensive for curtain rods. I had looked at purchasing decorative rods but got a little sticker shock. It would be easy to just buy a $3.00 plain white rod and call it good. But if I could add some budget friendly style, it would be so much better. The solution I came up with was totally free. Since his room was a rustic industrial style, I decided to use tree branches to complement the look. This works out perfectly for hanging tab top curtains which is what I plan on using. All I had to do was treat the branches with polyurethane to keep the bark sealed and protected and prevent any peeling. 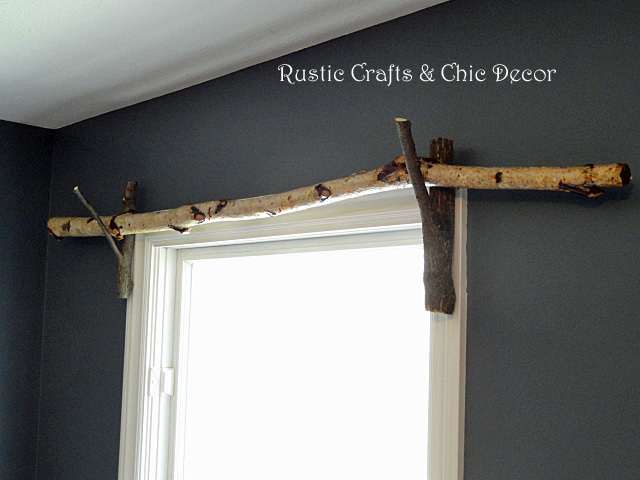 Using forked branches is a super easy way for hanging the birch rod. They were just screwed right into the wood window trim. Now, the window treatments in the finished rustic bedroom look intentional. 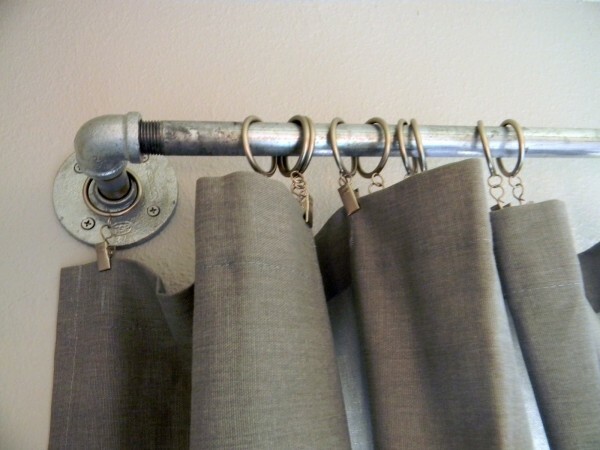 You can create your own cool looking industrial curtain rod like this one by Schue Love using parts from your local hardware store. It costs a fraction of what a similar look would cost retail. 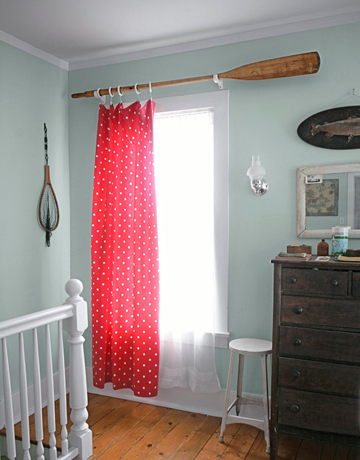 Another super easy idea, by Country Living, is to simply hang an oar on brackets. You can see how nice curtain ring clips slip over the oar handle. This is perfect for a rustic or nautical style room. For another nautical theme, here is a super fun idea, by Vintage Home Love, using heavy rope. She even used canvas curtains to complete the look! Besides heavy rope, another fun idea is to use clothesline and clothes pins. I did that for my laundry room curtains. Do you have a unique idea for a homemade curtain rod or DIY window treatments?